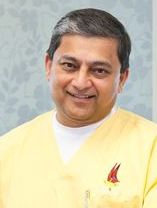 Nitish is a former Associate Professor of Periodontics and is currently a general practitioner in Gisborne, New Zealand. After a long career in academics and private practice overseas, he moved to New Zealand in 2009 for a lifestyle change. Nitish has lectured on several platforms around the world, having presented in North America, Europe, Australasia and Africa. 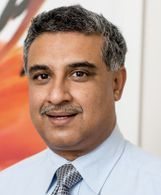 He is by examination, a credentialed Fellow and Diplomate of the ICOI (International Congress of Oral Implantologists) and an Associate Fellow of the AAID (American Academy of Implant Dentistry). Ali graduated from the University of Mumbai with an MDS in Prosthodontics and is one of only approximately 350 dentists in 28 years who have achieved Accredited status with the American Academy of Cosmetic Dentistry. rehabilitation incorporating restorative and implant dentistry and he treats patients from all over the world in his state of the art practice in Mumbai in India. Ali has lectured all over the world and is a well recognised speaker on many platforms. David completed his Dental Degree at Otago University in 1978. Following a year as a Hospital Dentist for the Wellington Hospital Board, he commenced Oral Surgery training at Burwood Hospital in Christchurch in 1980, followed by appointments at Sydney University and St Thomas' Hospital in London. David obtained Fellowship by examination in Oral Surgery from the Royal Australian College of Dental Surgeons in 1982 and the Irish Royal College of Surgeons in 2000. 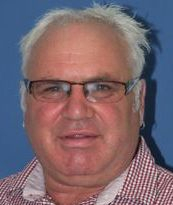 David has held a consultancy position at Tauranga Hospital since 1986 and lectures nationally on oral surgery, conscious sedation and dental implantology. 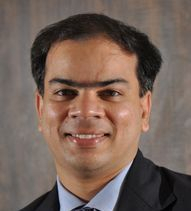 Loy graduated in 1978 and acquired a Master’s degree in Oral Surgery from the University of Bombay in 1981. In private practice in Auckland now for close to two decades, Loy metamorphosised a 'Mom & Pop shop' part-time dental practice in Epsom into a beautiful multi-operatory practice, through exceptional patient communication and behavioral management. Loy's passions include Invisalign, Cosmetic Dentistry, Preventive Care and Oral Surgery and he has mentored many young dentists who regard him as a life coach. He is on the Executive of the New Zealand Academy of Cosmetic Dentistry and the Auckland Dental Association and enjoys sharing his philosophy and vision with like minded dentists who wish to grow their practice. Ellie graduated from the University of Otago in 2005 with a BDS and began her career in Gympie, Australia. Returning to New Zealand, she worked briefly in the private and public domains in Auckland before considering specialisation in Periodontics, a passion since 2009. Ellie completed a Postgraduate Diploma in Periodontology with Distinction in 2010 and a Doctorate in Clinical Periodontology in 2013. She currently works with a specialist practice in Dunedin and also teaches at her alma mater as a Colgate Senior Lecturer with the Department of Oral Sciences in the Faculty of Dentistry. Andrew Devine has been a dental technician for 35 years. He operates a small boutique laboratory in Napier specialising in high end aesthetics in crown & bridge, implant work and prosthetics. Andrew was first introduced to implant work in 1989 and in the early 1990s he became part of an implant team based in Hamilton, travelling there fortnightly to discuss treatment plans for prospective implant patients with the dentist and the oral surgeon. In 1994 Andrew was invited to partake in a pre-launch study involving the Nobel Biocare scanner of the time the "Mod 40". He bought his first scanner in 1996 and now three models on, owns a NobelProcera Scanner. Practising implant dentists regularly seek his inputs with regard to CAD CAM based implant prosthodontics. The ACE Institute has also commissioned a session which will be run by Dental Protection Limited. This session will cover the Dental Protection Limited workshop –Mastering Consent & Shared Decision Making. The workshop will be presented by Dr Dexter Bambery. After thirty years in General Dental Practice in Wellington city, Dr Bambery now works one day a week in private practice and spends three days a week as Professional Advisor to the Dental Council of New Zealand. Dr Bambery had experience over a number of years with the New Zealand Dental Association’s Peer Review programme, a mediation service for dealing with complaints about dental practitioners and was chair of the Dentists Disciplinary Tribunal for eight years. Dr Bambery chaired the working party for the implementation of the current Health Practitioners Competence Assurance Act and continues his involvement with the Dental Council as advisor in the area of professional standards. Copyright 2018 The ACE Institute. All rights reserved.